We are proud and very pleased to announce today that, with the opening of five new country websites, Utiket will expand globally. Founded in 2010 we focused solely on Indonesia. 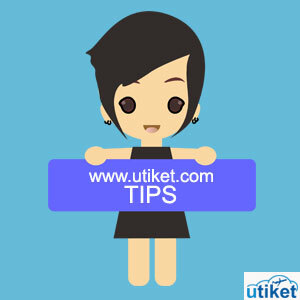 In the past years Utiket has achieved a solid position in this highly competitive market by becoming the largest meta-search website. We believe now is the time to expand globally and offer our unique concept, which has made us so successful in Indonesia, to people all over the world. And more will follow soon! With this we can already offer our unique low-cost flight search solution to almost 2 billion people! Also, this means we have a much better opportunity to continue develop and improve our website and services for our current millions of regular visitors. Stay tuned for more airlines, more countries, more destinations and more cool features: Utiket, always ahead.